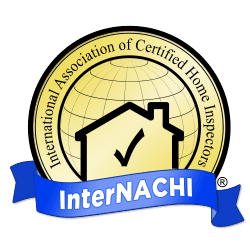 HomeTech Home Inspections is a locally owned, certified, and fully insured home inspection company proudly serving the Northern Utah Real Estate community. Our home inspection services focus on Wasatch and Summit counties, including: Park City, Heber City, Midway Utah and the surrounding areas. My name is James D’Angelo, I am the owner of HomeTech Home Inspections. I understand the process of doing a property search, finding a house for sale, and searching for the best home inspector can be somewhat overwhelming. At HomeTech, I take great pride in the inspection process as well as my relationships with the buyers, sellers and their real estate agents. I personally manage every aspect of the inspection process. My mission is to provide you with a professional, detailed and unbiased inspection in a timely manner. I am always available to help before, during and after the inspection. HomeTech will create for you: a computer generated home inspection report including many pictures, detailed explanations and recommendations. This can be viewed via email within 24 hours time. I look forward to providing you with the best home inspection service available.